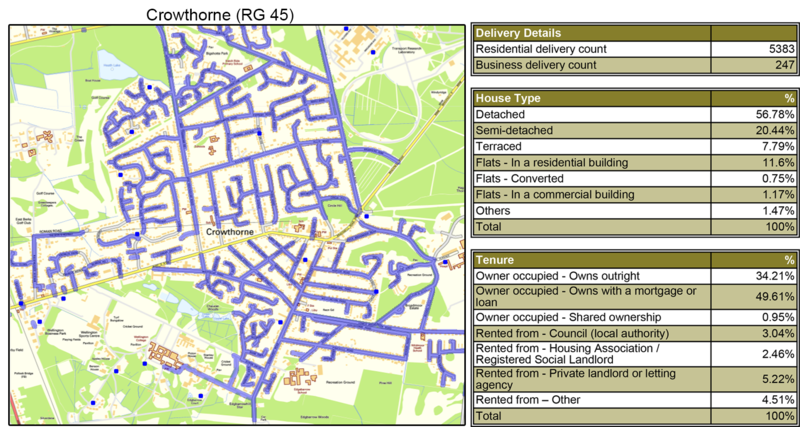 For cost-effective and reliable GPS tracked leaflet distribution in Berkshire, Abracadabra Leaflet Distribution can help you reach your goal with a customised leaflet distribution campaign. We understand the importance of direct marketing and ethical distribution and want to make it a simple and seamless experience for you. This is why we offer a free one-to-one consultation where you can meet with one of our in-house marketing experts and discuss your leaflet campaign. Once you have a clear idea of how you want to proceed with your campaign, you can use our graphic design team to get the most from your direct response marketing. They will be more than happy to help with all aspects of your design, print and distribution. We are also proud to be a member of the Leaflet Distribution Organisation (LDO) and are committed to providing ethical and dependable GPS tracking for all our direct mail distributions. But don’t just take our word for it – see what our clients have to say about us by visiting our testimonials page! FREE report on your GPS tracked flyer delivery so you can view the exact route the flyer delivery person took to deliver your leaflets, as seen in the above image. FREE constructive advice is provided on the best possible way to plan your promotion. Combine your needs and avail a discount with our special design, print and distribution packages. You can choose any quantity from 1,000 to 500,000 and it can be distributed by our efficient GPS tracked delivery staff. Rest assured, regardless of the plan you choose our leaflet distribution services are never compromised and we ensure you always get a first class delivery service (to find out more, you can check out our leaflet distribution process page). For greater peace of mind, we also offer a money back guarantee on the flyers that we can’t prove have been delivered. * Abracadabra Leaflet Distribution offers leaflet distribution in Berkshire to all the main towns including Ascot, Arborfield, Barkham, Binfield, Burghfield Common, Bracknell, Calcot, Caversham, Caversham Park Village, Charvil, Cookham, Crowthorne, Eton, Earley, Emmer Green, Finchampstead, Holyport, Hurst, Langley, Lower Earley, Maidenhead, Mortimer, Newbury, Pangbourne, Purley, Reading, Ruscombe, Sandhurst, Shinfield, Sonning, Spencers Wood, Streatley, Slough, Sunninghill, Thatcham, Theale, Three Mile Cross, Tilehurst, Twyford, Warfield, Wargrave, Whitley, Whitley Wood, Windsor, Winnersh, Wokingham, Woosehill and Woodley. Promote your business in the royal county of Berkshire through Abracadabra Leaflet distribution and make the most of your promotional campaign through our custom-made Leaflet Printing and Distribution package in Berkshire. To learn about more areas we cover, please visit our coverage page.